The investment management firm signed a 20-year lease at Tishman Speyer’s 65-story office tower where CoStar records pricey asking rents. NEW YORK CITY—AllianceBernstein is moving to new construction, agreeing to lease 189,000 square feet at the Spiral. 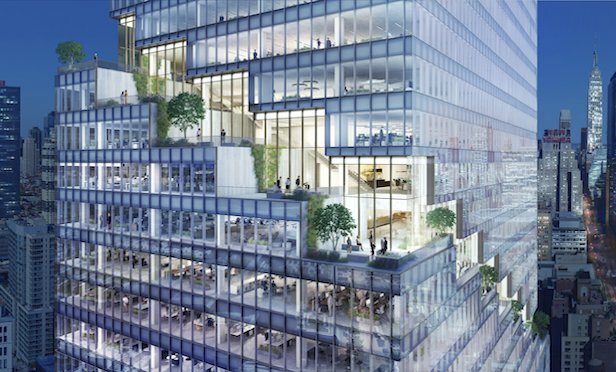 Tishman Speyer’s 1,031-foot-high office tower is being built on Manhattan’s West Side at 66 Hudson Blvd. The investment management firm signed a 20-year deal and plans to move into the 25th through 28th floors of the 65-story skyscraper in January 2025.